Time-deprived? Play 9 holes or a Short Course. We all would love to be able to spend 4-5 hours a couple of times each week on a golf course, but with work demands, family commitments, and the need for sleep, it’s not easy to break away to play golf. So, why not just play 9 holes at your regular golf course or sample the Executive or Par 3 golf course nearby? There’s no rule that you have to play 18 holes each and every time you hit the links. Many of the golf courses in the Let’s Golf® stable of destinations have multiple 9 hole courses that can be played alone or together to accommodate a time crunch. In the Brunswick Islands of North Carolina, both Brunswick Plantation and Sandpiper Bay fit that bill. They offer three distinctly different 9 hole courses, each with its own challenges and personality. On the Coast of Alabama, Peninsula Golf & Tennis Club in Gulf Shores and TimberCreek Golf Club in Daphne encourage golfers to spend a couple of hours testing their skills on one of their three 9 hole tracts. 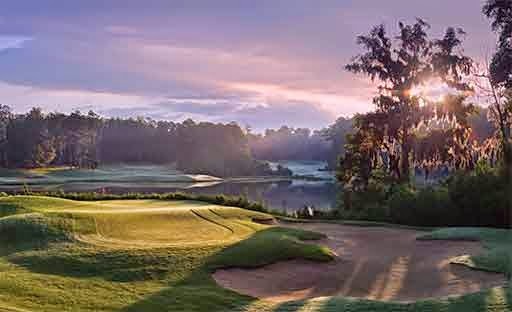 And for one more example, in the Lowcountry of South Carolina, Shipyard Golf Club on Hilton Head Island has three nines with four sets of tees each to accommodate all levels of play. Plus, most 18 hole golf courses have 9 hole rates, which helps your golf travel budget as well. Lots of people scoff at the notion of a Par 3 or Short Course, but there’s certainly a time and place for them in our busy society. Remember, the only way to get better is to play more golf, so if your approach game needs tweaking, a Short Course is just the thing. And nowhere is the concept of the Short Course implemented more thoroughly than in Alabama. 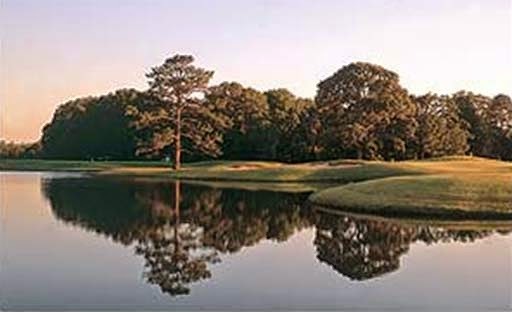 When golfers think of the Robert Trent Jones Golf Trail, they think how tough the championship golf courses can be, and in fact, that was part of the design philosophy – to create challenging enough layouts so that when a golfer makes a tremendous shot or cards a great score, they will remember it more sweetly. But another philosophy of making the game more accessible for beginners and those without the luxury of time for a full round, came to bear with the inclusion of a 9 or 18 hole Short Course at all of the original RTJ Golf Trail locations. But these aren’t your grand-daddy’s par 3 pitch and putt courses. The Short Courses on the RTJ Golf Trail in Alabama will demand the best of your short game. In fact, Golf Digest ranks Short Courses and two on the list of “America’s Top Nine Public Short Courses” are on the Trail (pictured below). So in planning your next golf vacation, think about getting in some extra practice in a short amount of time on your local Par 3 or 8 hole course. And plan to include them in your golf package to maximize your time and your budget. Comments Off on Time-deprived? Play 9 holes or a Short Course.